This Country Charmer sits on 23+ acres of irrigated ground, with a detached garage, huge shop/outbuilding, and lots of room foreveryone! 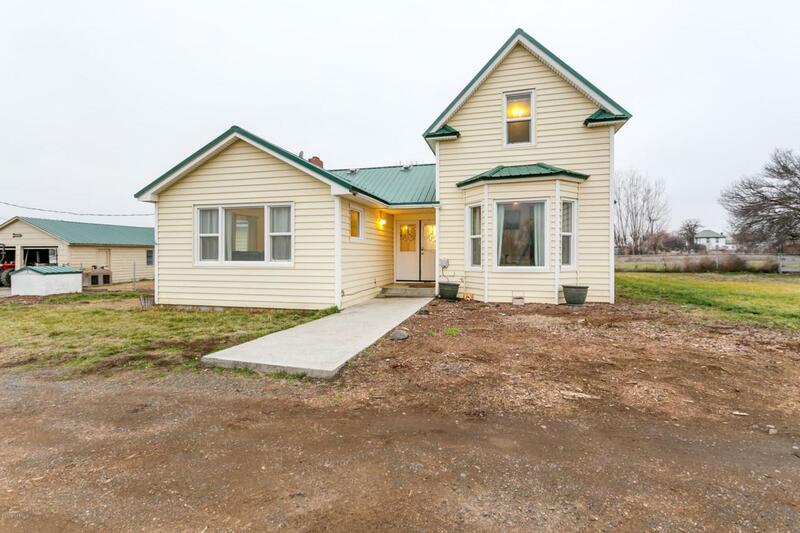 Updated classic farm home with 4 bedrooms, 2 bathrooms, a spacious living room, kitchen with plenty of cabinet space,fireplace w/insert, dining area and large laundry/utility room. Rare opportunity to live in a peaceful setting with great views and room foryour horses, chickens and gardens. This home also comes complete with a comprehensive home inspection and a 1 year home.